This study sought to replicate Parslow and Jorm’s (Aust N Z J Psychiatry 34(6): 997–1008, 2000) research on need, enabling and predisposing factors as predictors of mental health service use, with the addition of childhood trauma as a predisposing factor. It utilised a non-treatment seeking epidemiological sample of Australian adults (N = 822) to examine 25 variables covering psychiatric disorder, socio-demographics, physical health problems, and childhood trauma as predictors of mental health visits to general practitioners (GP’s), mental health specialists and non-mental health specialists. A consistent multivariate predictor of mental health visits to all types of professionals was psychological distress. Presence of an affective disorder, age, and number of health problems were additional predictors of visiting a GP. 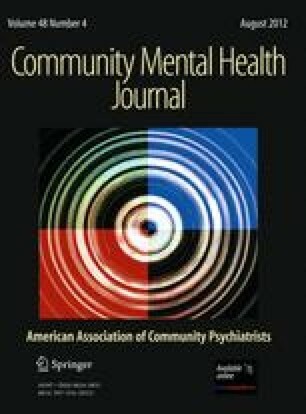 Being female, divorced, and exposure to childhood trauma predicted use of a mental health specialist, while rural living was associated with lower use of these services. Results highlight the importance of general psychological distress and need factors in seeking help for mental health, and reinforce the lifelong disadvantage arising from adverse childhood experiences and the need to address these issues in adult mental health services. This research was funded by the Australian National Health and Medical Research Council (NHMRC Project Grant: 201813 and NHMRC Program Grant: 300403).